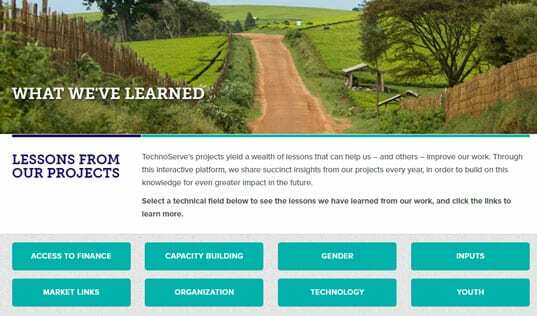 A new case study explores TechnoServe's successful work to increase farmers’ incomes and provides insights for a supportive and sustainable future. For the past five years, TechnoServe has helped Peruvian cocoa farmers invest in the evolving cocoa value chain. Peru’s cocoa production is growing rapidly – today, 45,000 Peruvians farm the crop. 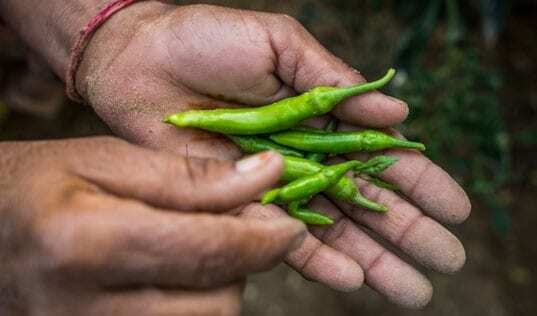 The country’s smallholder farmers, however, have often struggled with high costs and low yields, and have frequently failed to earn a decent living. Explore how a growing cocoa sector is improving smallholders' lives in Peru. The case study examines the Economic Development Alliance for San Martín, Huánuco and Ucayali, a program implemented by TechnoServe and supported by the Peruvian government and the U.S. Agency for International Development (USAID), which worked with 21,000 smallholder farmers to increase production and improve access to markets. By the conclusion of the project, these farmers had increased their yields by up to 53 percent and had sold $10.5 million worth of cocoa directly to exporters through “commercial blocks” formed by the program. 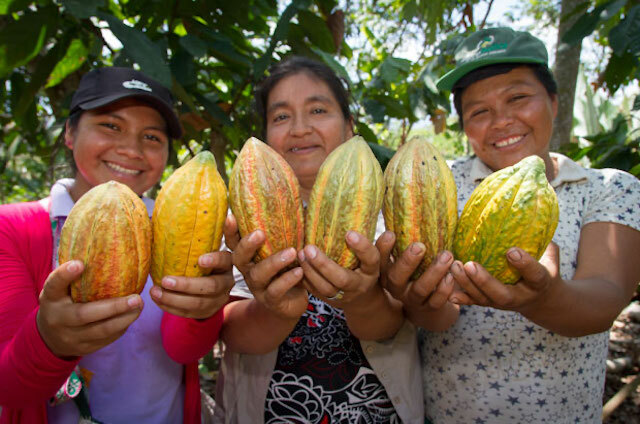 The program’s work also generated fresh insights into Peru’s cocoa sector, its challenges and opportunities, and the ways in which smallholder farmers could further benefit from its growth. For instance, according to the report’s findings, Peru’s cocoa value chain is obstructed by export credit constraints. 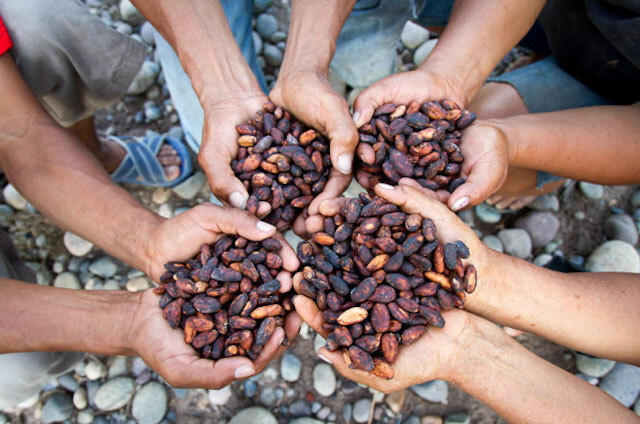 Without credit, producer organizations cannot purchase enough of their members’ cocoa to fulfill the volume that buyers need. Farmers are directly affected because they miss the opportunity for better prices and certification premiums that these organizations can offer. Peru has great potential to grow as a cocoa producer, and the Economic Development Alliance showed that farmers can benefit from this growth. 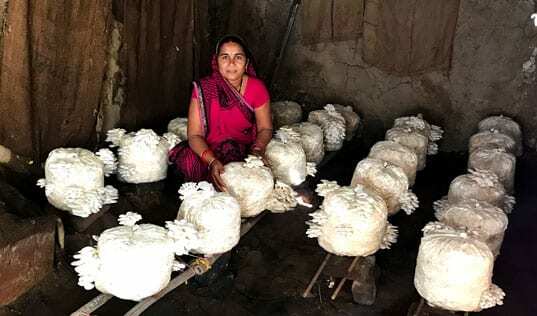 By implementing a few of the innovative approaches developed for this project by TechnoServe, the sector can continue to be an engine of opportunity and change for farmers in the country. 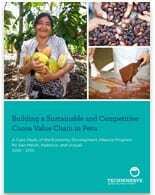 Read the case study for more insights into Peru's cocoa sector.